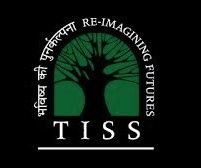 TCi recently held its first joint course with the Tata Institute of Social Sciences (TISS). The course, Sustainable Global Food Systems: Food Policy for Developing Countries, was held in Mumbai, India from January 25-28, 2014. TCi Scholar Tanvi Rao, a Cornell Ph.D. candidate in applied economics and management, reports back about her experience attending the four-day event. Targeted towards interested first-year students from any academic program and Ph.D. scholars from TISS, the course was well attended by nearly 100 students on each day, who made for a highly receptive and engaged audience. Open to extensive debate, the discourse swung between diverse ends of the ideological spectrum in a lively manner, with lectures delivered by a host of expert Indian academics and policy-makers. Among the broad themes discussed included the potential and limitations of trade in agriculture, as well as agri-business and bio-technology in food with implications for food-security and malnutrition in India, keeping in view current policy frameworks. Central to discussion and debate was India’s recent Right to Food Act and its different provisions. With TCi director Prabhu Pingali as the program lead, the course hosted lectures by TISS director S. Parasuraman and TISS professors Madhushree Sekher and R. Ramakumar. Invited lectures from other academics included talks by: Dr. Mahendra Dev, current director of the Indira Gandhi Institute of Development Research (IGIDR) and ex-chair of the Commission for Agricultural Costs and Prices (CACP) of the Government of India; Dr. J. Mohan Rao, University of Massachusetts Amherst; Dr. J.V. Meenakshi, Delhi School of Economics; Dr. Sukhpal Singh, Indian Institute of Management, Ahmedabad; and Dr. Sulabha Parasuraman, International Institute of Population Sciences. Bringing insights from the policy world were lectures by Dr. Ashok Gulati, current chairman of CACP and ex-director of the International Food Policy Research Institute (IFPRI) in Asia, and Biraj Patnaik, who is currently the principal adviser to the Supreme Court commissioners on the Right to Food Act. Further details of lecture topics by each expert can be seen here. A good part of the course stressed methods, with discussions ranging from the technicalities and challenges behind setting the national Minimum Support Price (MSP) for 24 crops grown by Indian farmers, to the measurement of under-nutrition using different types of survey data and bio-markers. Considerable attention was also devoted to really understanding the evolution of food-security related policies in India leading up to the current National Food Security Bill, as well as the inter-relationship between key government programs in the country designed to enhance food availability, access and utilization. For obvious reasons, the three government programs that fostered the most discussion in this regard were the Public Distribution System (PDS), the National Rural Employment Guarantee Scheme (NREGS) and the Integrated Child Development Scheme (ICDS). Several questions were raised, including: What remain as the main challenges in the delivery of these programs? What can we learn from the experiences of the different states in actually implementing them? How can government safety nets be provided in an economically viable manner? How do we leverage trade and technology in meeting some of our challenges around hunger and malnutrition in an equitable way? In my opinion, what made the course really productive for the audience was that contemporary issues around food security in India were couched in a historical understanding of India’s agricultural development and every important issue was analyzed by competing claims of market-driven versus public-provisioned solutions. In many ways, India’s green revolution has made it possible for us to have a discussion around food security in India today which is focused not on availability, but on access and optimal utilization. I think the audience was left with a more nuanced appreciation of the challenges and ultimate limitations of both market and government based solutions in the absence of critical infrastructure and institutional changes. It is time for us to reflect on the new realities of agriculture in India and the rest of the developing world, of integrating smallholders into a more commercial system of procurement and distribution, and of feeding diverse and nutritious diets to an increasingly aspirant people.